Joanna that's a great looking boule , including the slashing, pointy ends or not. Nice bake and well done! It's a dramatic boule ! 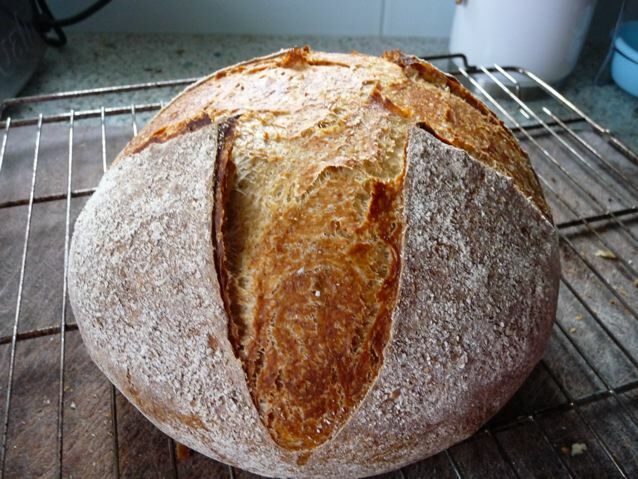 It's a dramatic boule ! good color and big hole . Thanks Franko and Daisy A and Happylina for your kind words, it means a lot coming from you. This forum is such a wealth of knowledge and experimentation - just lovely! ....and thanks whoever sorted out the mess I made with the posts too (blush).